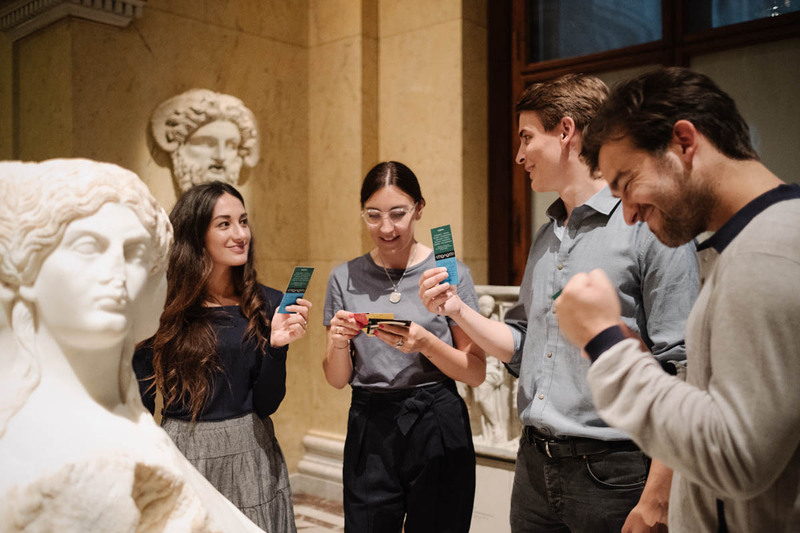 Embark on an entertaining and challenging treasure hunt at Kunsthistorisches Museum, and experience the museum as you never have before. 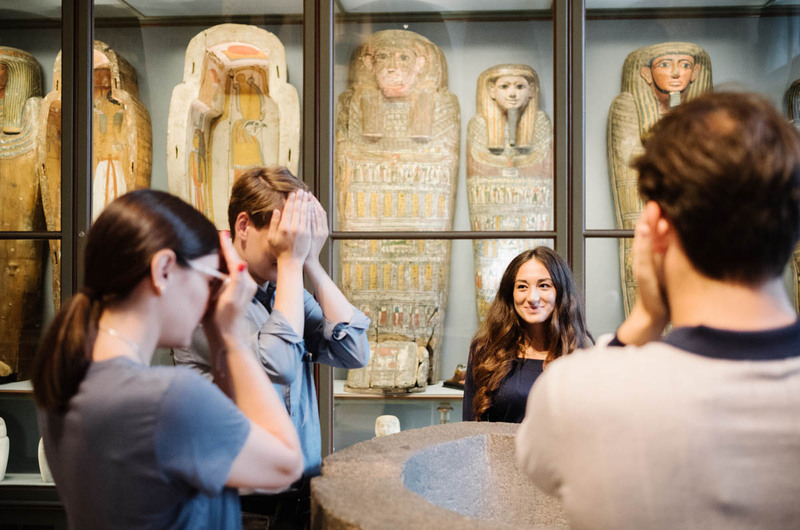 The Sphinx will challenge you with riddles and puzzles as you travel through ancient Egypt, Greece and Rome on a journey for answers. On your way you will discover secrets and mysteries from the past. 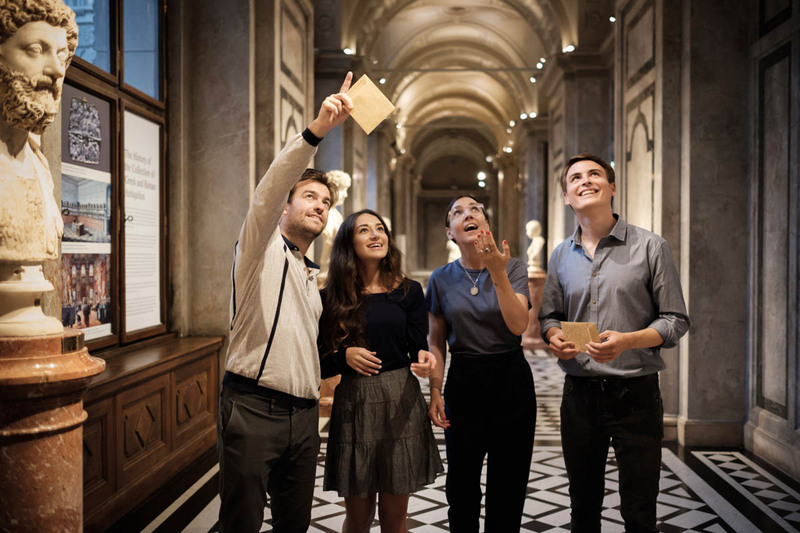 The Mystery Hunt at Kunsthistorisches Museum is a Da Vinci Code inspired treasure hunt for adults. 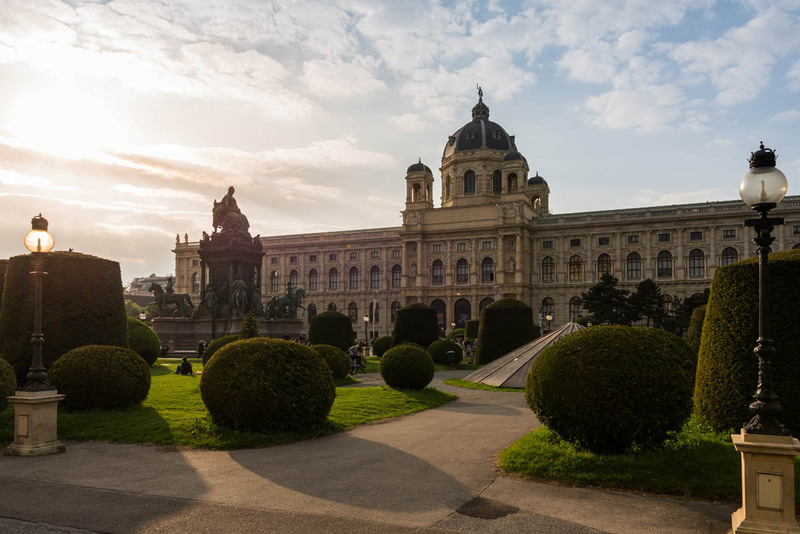 The Mystery Hunt takes place in The Egyptian and Near Eastern Collection at Kunsthistorisches Museum Wien. 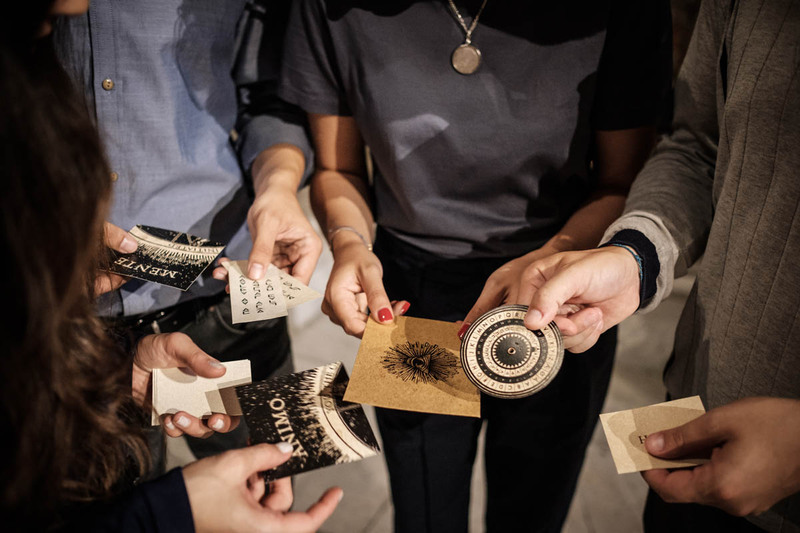 The Mystery Hunt is an 100% analog product that consists of beautiful old envelopes filled with tasks that challenges your intellect, while strengthening cooperation and personal relations. The experience is suited for teambuilding, a group of friends and children over the age of 15. The Treasure Hunt can be played by groups of 4 to 100 persons. 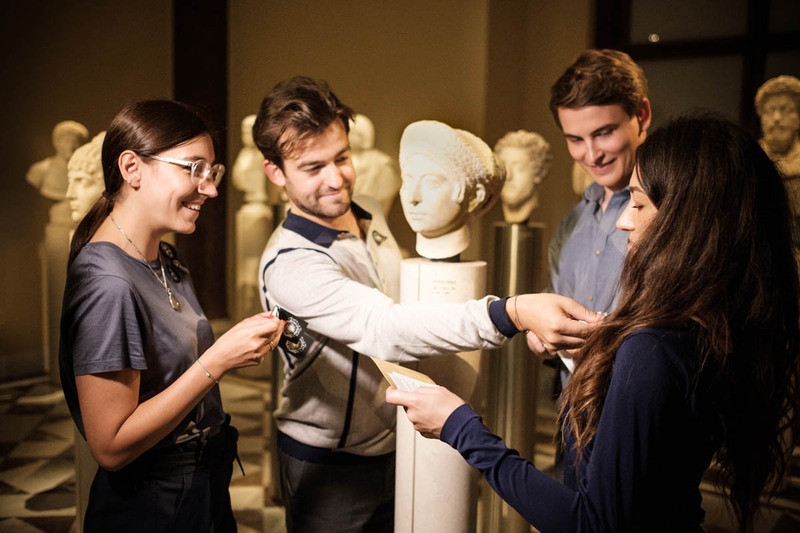 The Mystery Hunt at Kunsthistorisches Museum is presented in cooperation with the Kunsthistorisches Museum Wien. You can be 4 to 8 people in one group. If you are more than 8 people you will be divided into groups. 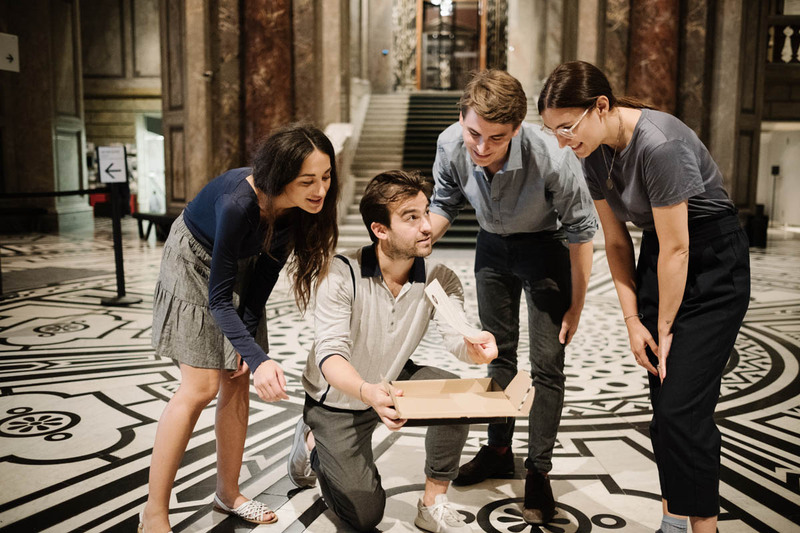 The Mystery Hunt at Kunsthistorisches Museum is delivered in a Mystery Box™ when you show up at the Kunsthistorisches Museum. 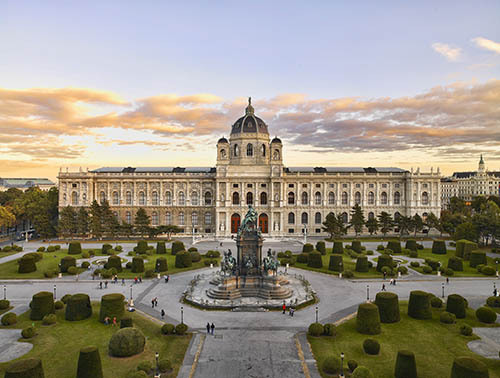 You must pay €12 per person for entry to the Kunsthistorisches Museum. It is not allowed to be intoxicated or consume alcohol in the museum. The Mystery Hunt cannot be booked for bachelor/bachelorette parties. 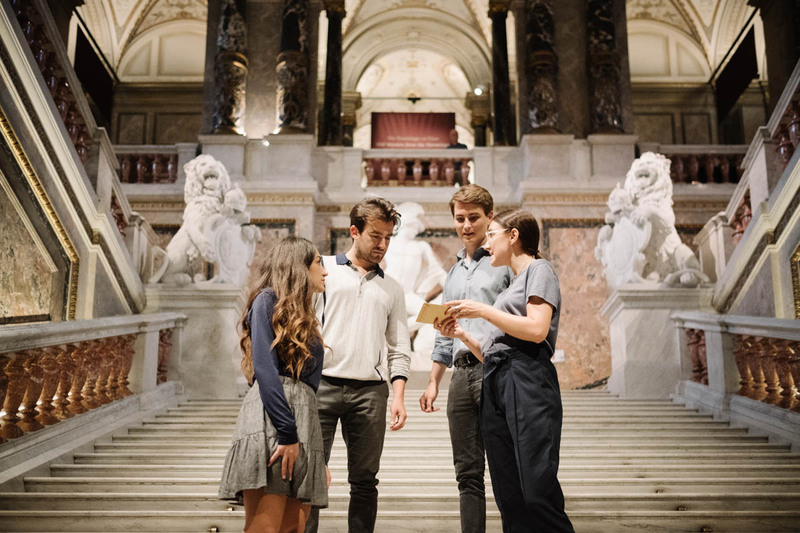 How much does the The Mystery Hunt at Kunsthistorisches Museum cost?